Have you heard about Abe’s Market’s Sample Program? 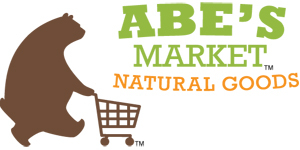 Have you ever shopped at Abe’s Market? They recently started a sample program where you can choose any three samples and have them delivered to your door for $2 – shipped. It’s a great way to try their natural products before you commit to a big money outlay. A couple weeks ago, Abe’s Market sent me a sample of organic, fair trade coffee, a sample of granola, and a sample of Pirate’s Booty. They were delivered lickety-split, and I’m glad we got the samples because it turns out, my kids don’t like Pirate’s Booty! Good to know! But the coffee was great, and the granola was devoured in minutes. I’ve seen Abe’s Market certificates on Groupon before, too! I’d love to hear if you have tried Abe’s Market and what you think. Abe’s Market might be a great way to keep your grocery budget down – especially if you can pair sales with Groupons! Disclosure: Abe’s Market sent me three samples to try but my opinions are my own.